Researchers have generated a cellular atlas of the mouse brain, based on the gene expression profiles of nearly 700,000 individual cells covering nine major brain regions. 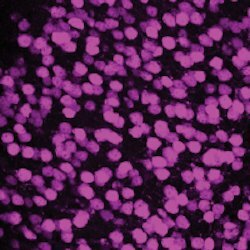 The new atlas, reported in Cell, provides a window into the brain's remarkable diversity of cells, a starting point for studying how genes and genetic variants contribute to neurological and psychiatric disorders, and insights into how different kinds of neurons achieve their highly specialized functions. All data from the study are publicly available in an interactive analysis portal called DropViz. "Genetic studies of psychiatric and neurological disorders are now implicating many specific genes, but we need to be able to make the scientific connections from genes to cell populations and circuits," said study senior author and Broad institute member Steven McCarroll, the director of genetics at the Stanley Center for Psychiatric Research and the Dorothy and Milton Flier Professor of Biomedical Science and Genetics at Harvard Medical School. "Historically, months of experiments were often required to figure out which cell populations express even one of these genes. By creating a data resource like this—in which scientists can simply look these things up online—we hope to enable a stronger understanding of how brain illness arises in specific cell populations." Genetic studies are identifying growing numbers of genes and genetic variants associated with psychiatric or neurological disorders. However, understanding which variants matter in which cell types, and how they relate to healthy and disease states, remain among the greatest challenges in neuroscience and neuropsychiatric research. And while scientists have a general idea of the different types of cells that make up some brain regions, the detailed identities, molecular repertoires, and functional roles of cells at a brain-wide level have yet to be fully cataloged, further complicating efforts to link variant to cell to function. "We haven't had a global framework for understanding, at the molecular, single-cell level, the cells that make up the core components of the brain," said Arpiar Saunders, a postdoctoral researcher in the McCarroll laboratory and co-first author of the study with Stanley Center associate member and Massachusetts General Hospital psychiatrist Evan Macosko. "We wanted to produce an unbiased characterization of the brain's diversity within key regions." The research team generated the atlas by analyzing gene expression in 690,000 individual cells isolated from nine brain regions, including the frontal and posterior cortex, hippocampus, cerebellum, thalamus, striatum, and substantia nigra. All told, the nine regions account for between 60 and 70 percent of the volume of the mouse brain. To analyze so many cells, the team used Drop-Seq, a high-throughput, microfluidics-based, single-cell RNA-sequencing method developed by Macosko and collaborators in 2015 when he was a postdoctoral fellow in McCarroll's laboratory. First, however, the team had to collect individual cells from the adult mouse brain in a way that reflects the cellular diversity of native, intact tissue. This is no small feat, given that adult brain cells weave together in a dense, complicated fashion as they age, making them difficult to tease apart. The team therefore adapted existing "patch-clamp" physiology protocols originally designed for making electrical recordings from single neurons. "It's very hard to keep cells healthy as you dissociate them, especially in adult models," Saunders explained. "We replicated certain aspects of the brain's environment, but also left out key ingredients to help the cells avoid self-induced shock. We also optimized our protocol for each brain region individually." The team also developed a new computational framework for analyzing their data based on independent component analysis (ICA), enabling them to easily detect and compare many types of biological signals, as well as technical artifacts, which could be filtered from the data. "You can think about transcription like a mixture of conversations in a crowded room," Macosko said. "ICA is very good for finding signals, or individual conversations, if you will, within a sea of noise." By analyzing the gene expression patterns in their data, the researchers distinguished 565 different cell populations, including a wide variety of neurons and non-neuronal cell types, including glial, immune, and blood vessel cell types. Among them were new cell types never before detected. For instance, the data revealed the existence of a rare subtype of neurons, which the team dubbed "eccentric" spiny projection neurons (or eSPNs), in a brain region called the striatum. This neuronal crossroads is involved in motor control and habit formation, and is affected by neurodegenerative disorders such as Huntington and Parkinson diseases. "eSPNs are, molecularly speaking, very different than the major SPN populations, which have been studied for decades," Saunders noted, adding that eSPNs make up only about 4 percent of the SPNs in the striatum. "Because eSPNs express many of the same canonical molecular markers as other SPN populations, they were genetically camouflaged within these larger striatal SPN populations." "This is where unbiased, high-throughput approaches like Drop-Seq are important, because you would otherwise never see this cell population," Macosko added. "We had to sample thousands of cells in order to detect and describe them." The data also let the researchers look for both common and rare transcriptional programs within and between cell types and brain regions. For example, the team discovered a previously-uncharacterized genetic program they called the neurofilament program, which appears to support the formation and function of neurons' axons (their long output arms) and presynaptic terminals (the axon tips, which release neurotransmitters to pass signals on to other neurons). Taken together, the data provide a complete transcriptional repertoire for each of the nine regions studied, a lookup table for examining where in the brain individual genes are relevant, and a baseline for studying psychiatric and neurological disorder-associated genes in mouse-based model systems. To give their findings as broad utility as possible, the team has made all of their data publicly available in a searchable, interactive, web-based portal called DropViz. "We spent a great deal of time stringently curating our findings so that DropViz users can easily find information that is relevant to the biology they want to study," Saunders said. "It was exhausting, an almost single-cell-brain-Crossfit kind of effort, but we think it helped strengthen our confidence in the nuances of the data. There are thousands of interesting leads for the functional neuroscience community to pursue."